So, You Want to go Back ‘Home’? There come’s a time in the lives of most adult third culture kids, many expats, as well as immigrants and refugees when they want to go ‘home.’ Sometimes it’s after a short time of living away; other times it’s after years, but always it comes with a sense of great anticipation coupled with a strong shot of fear. What is it like to go back home? How does it feel? How should I prepare? There is no stock answer to this, but perspectives from adult third culture kids who have gone back to visit can help. I’m addressing this today, but I’m also opening it up to others. I would love to compile a set of essays with the common theme of “Going Home”. Do you write? Do you draw? Are you a poet? 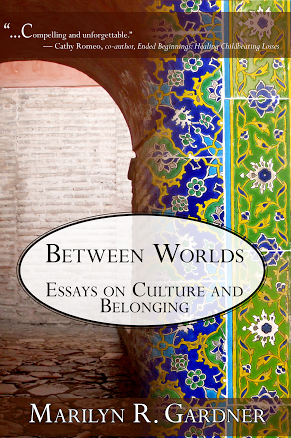 Think about contributing to a collection of “Going Home” essays and visual pieces! Send any ideas or contributions to communicatingblog@gmail.com. When I stepped off the plane in Pakistan, it was all so sweetly familiar. My heart broke with the beauty of familiarity. This is the place I knew and loved, the familiar smell of chapatis and curry; the beautiful sound of the call to prayer; the sounds of childhood through Urdu and Sindhi speakers; the heat and beauty of bright fuchsia Bougainvillea – all of it was so sweetly beautiful. But as we were driving from the airport and rounded a corner, I suddenly saw the newness of everything. New buildings, roads, bridges, and restaurants. And then the new things that were not pretty. There was a massive garbage pile of bright pastel colored plastic bags and my heart sank with the sadness of waste marring what used to be empty land and palm trees. 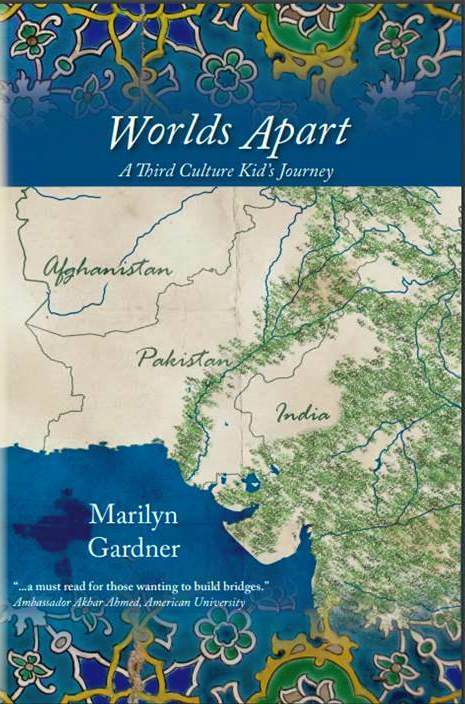 It was the familiar and the new, such a visual representation of the paradox of being a third culture kid; the conflict of replacing the old memories with new experiences. When you have lived in a place, it is incredibly difficult to “just visit”. It doesn’t feel right at any level. I wrote about this a few years ago here. We were visiting Cairo when I first remember this question. It was in Cairo that we had watched three of our five children take their first steps. It was in Cairo where our youngest two were born, three years apart. It was our community in this city that had loved us and cared for us through pregnancies and sickness; through post-delivery chaos and family crises; and through packing up and leaving when the time came. The apartment we lived in still had markings of our children’s measurements on the doorpost. We had seen these just a day before while with our friends. Cairo had been home for a long time and it broke our hearts to leave. We said goodbye to all those things we loved so deeply. Rides in huge, wooden boats called feluccas on the Nile River; Egyptian lentils (Kosherie) with the spicy tomato sauce and crispy fried onions to top it off; friendships that had been forged through hours of talking and doing life together; a church that was one of a kind with people from all over the world. So when the woman asked me the question I didn’t know what to say. A lump came into my throat and I willed myself to hold back the tears. The words ‘Visit’ and ‘Live’ are worlds apart. Visit means stranger, tourist, one who goes and stays in a place for a “short time.” The dictionary definition is clear on this. The reality is that I no longer live in either Cairo or Pakistan (or Chicago or Phoenix). I live in Cambridge, Massachusetts. That is my legal address. I do not have permission to live or work in either of those countries, and at times it hurts. While in a sense we are going ‘home’, in another sense we are just visiting. We have changed, as have the places that we love so dearly. My daughter once wrote that we belong to these lands where we lived, but they do not belong to us. Again, it’s being comfortable with paradox, with living between. When an adult third culture kid or expat suddenly finds himself or herself a stranger, a visitor in a land they once claimed, the grief is acute and necessary. There is no way around but through and trying to avoid the reality is not helpful. The grief that washed over me in Cairo the first time I returned was deep and I wanted to bury myself in it. I wanted to be able to grieve with abandon, to cry the tears I had wanted to cry since leaving two years prior. I wanted to cry tears that would water the dusty ground that surrounded me, ground that had not seen water for a long time. But I couldn’t. Because indulging in the grief I felt at that moment would have taken me away from the place that I loved, the people who I loved. The loss and grief that would come over me in waves when I visited Pakistan to work in flood relief was equally strong. But those times were woven into so many precious times of joy and belly aching laughter; times of reconnecting and hearing stories from people I had not seen for years. I willed the grief away so I would not waste the present time. Don’t waste your present visit by dwelling on grief from your past. The grief has to come, it needs to come, but enjoy each moment, because that visit will be over all too soon. And the visit from the present may help heal some of the grief from the past. This is your story! Claim that story, map your journey, embrace the in between. We are so incredibly lucky to have these complex stories. No, we don’t always feel lucky, but with so much of the world facing displacement, we understand where others cannot. We can give empathy while others are silent in confusion. In the words of Anna Badkhen: “This is a century of dislocation not merely of body and home, but also of empathy, dignity, compassion.” We can be the people who take our feelings of displacement and use them to build bridges, use them to connect to others who are displaced, to find our voice in a world where people are lonely for connection. Going back is a critical part of your story. Embrace it, don’t waste it, Because this I know, and I know it well: More difficult than a visit would have been no visit at all, far harder than facing my current reality would have been dreaming of the past in a country far removed and never getting to experience my beloved places again. Remember to submit any contributions to communicatingblog@gmail.com. Deadline is June 15. I have not gone “home” again, even though I want to. Call me weird, but Ethiopia now is not the Ethiopia I knew as a kid. It no longer has Haile Selassie in it (he was imprisoned before I left); it was ruled for 14 years by a monstrous dictator, and has since had a series of presidents, some better than others. That’s the politics. Do they matter? Yes, because each head of government (they are not always leaders, they just rule the nation) changes things in the lives of the people under them. Ethiopia is more educated now, women have more freedoms, and their contributions to society are being noted. However, it’s still Ethiopia, still Africa. Freedom is relative, not like ours here; yet when I look at the freedoms we said we had in the US as a child and what we have now, I sometimes wonder if freedom isn’t relative here, too. More politics, sorry. But back to home. Ethiopia, itself, is different. Our compounds were taken over, the houses now disused and crumbling, or have other people in them. The work my parents did is changed. How? I don’t know, and that’s something I’d love to go see. My mother was a nurse in a hospital down country. The hospital is still there and I’d like to see the changes. In Addis Ababa, the whole city had changed, with a ring road and major urban sprawl. Yet some things, like a herd of sheep being driven to the market, and donkeys carrying barrels of water or oil, have not changed. But my school has changed, grown up, become all modern. I’m not sure how I feel about that. I hate it, but I understand; it has to grow and change, and I’m glad for that. When I think of Ethiopia, I remember red dirt, bahar zaf (eucalyptus trees), smoke, and a myriad other smells. I wrote an article in Simroots called “This Country Smells Funny,” about coming to the States as a thirteen year old and being greeted by American smells. Sometimes, when I’m not paying attention, my brain triggers a smell or a sound and I’m right back in Ethiopia. When I realize my body sits in a house on the Oregon Coast, I wrestle with the grief again. I recognize I can’t go “home” because home is not what it was. I was torn from my home because of the revolution and we had to go quickly. I expected we’d go back and we just never did. I finally grieved that a few years ago, and somehow, it still grieves me today, but not as much. Maybe it’s because I live on the Oregon Coast, my first stomping grounds after I was adopted, the one place that if I have a “home,” this is it. We love it here, we are content. We’ve talked about going to Ethiopia to visit, to explore, but I hesitate. I don’t want the comparisons, don’t want that grief. Maybe it’s okay not to go back, to just have the lovely (and sometimes not so lovely) memories of my first thirteen years. My hesitation is mixed up with fear, some of it irrational, from the time of the Derg, the revolution. It’s not like that anymore, and I know that rationally; we’d probably be perfectly safe. All these conflicting feelings: obviously I’m not quite ready to go back. I’m content with that. I don’t always understand this country, it will never be truly home, because I’ll always be mostly Ethiopian in my heart. I’ve learned to straddle the two worlds inside me, to make me a (mostly) comfortable whole. And one of these days I’ll go back to complete the circle where I started. I have been wanting to write you for a vey long time. You see, I stumbled across your blog and as a missionary it really spoke to me. So many years ago I started following and there have been many times where the circumstances of my life and what you wrote about intersected deeply. Your messages are truth. Truth of your life and experiences (and many of ours) and truth with a capitol T. Unknowingly you have ministered to me often. I often wished I could stop by and have a cup of coffee with you as that what reading your blogs has felt like. Then recently, just days after the passing of your father, I realized I did know you, or at least more than I thought. You see, Browncroft Community Church is one of my supporting churches and that is where I was when I learned of your father’s passing. That Sunday I was to give a talk with one of your brothers. I’ve met with your brother Tom many times when I am on HA and have had lunch with your mom and read their book. All that to say, thank you. Thank you for being real and sharing of your self with so many. In moments when I have felt that no one understands (besides God of course) I know that you “get it” and that comforts me greatly. For sure!!! I will delete and send you a message! Joanna, what a gift to hear from you today! First off, thank you for taking the time to write. I can’t tell you how much that means to me! Your words were so kind and affirming! Second, just so happy to hear about these unexpected family connections. What a lovely surprise. I get to Rochester fairly often – perhaps someday we will get to have a cup of coffee in real life! In the mean time, please know that I will think of and pray for you as I write. Thanks again for taking the time. Grace and love to you this day!